PH and Transplant: Perspectives from a Physician‐Mother Caregiver. 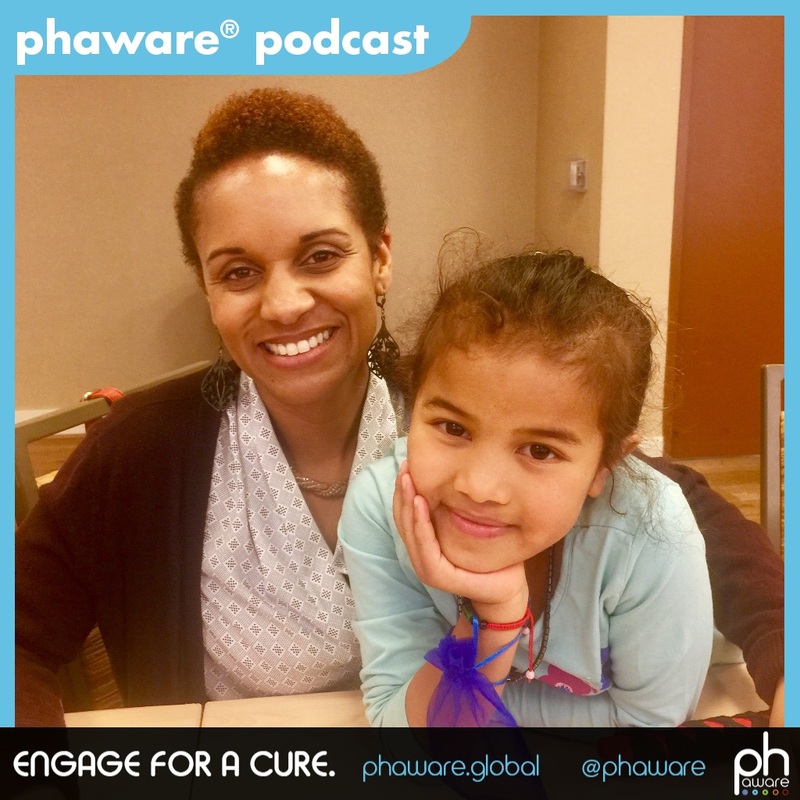 Michelle Liu, MD discusses her daughter Esther Grace’s 5 year journey from pulmonary hypertension diagnosis through transplant. Dr. Liu is a Parent, Caregiver and PH Support Group Leader. I'm Michelle Liu, I'm a parent of a former PH-er and also a physician. My daughter was diagnosed with PH in 2012 when we were living in Europe. She had a sudden cardiac event and it was right in front of me. She had been jumping on a trampoline and I thought she had hit her head, because she was tumbling, and she was two and a half at the time. The CT scan was negative and she was sent to a pediatric hospital in the Netherlands where we were visiting and she was diagnosed with PH very quickly after her echo. We stayed in Holland for six weeks, she was in Intensive Care. She had another cardiac arrest so her second which was 45 minutes long and we really didn't think she was going to make it through that one but fortunately she did. That brought us back to the states where she continued to get care. The challenging thing for us was hearing that she was diagnosed with end stage pulmonary hypertension, so not more than a year expected for her to live. Because I'm in the military we move a lot. She has had five pediatric cardiologists, two of them were in Holland when she was diagnosed. We've had several in the states, one of whom was a military pediatric cardiologist who just followed along just so that I could get everything in the records, honestly. He was someone I could ask for consults very easily. She was placed on IV medication and she was also put on two other oral medicines, specifically for PH. She was on a total of six medicines as a child with PH with end stage disease. We did send her to school and camp and all those other things. Of course, not everyone was comfortable having a child with her condition and so we had to look around. There came a time, actually, my husband noticed one day that her face had some swelling. After that she was put on a diuretic that would help to reduce that fluid overload. That was when we realized we're going in the wrong direction. Now I know some doctors bring it up and, in some cases, the family brings it up because they hear about it on Facebook, they read about it online. I have found that not all doctors are comfortable with that option. Maybe they've had a lack of success referring patients or they're just not sure when to refer. I really relied on Facebook to guide me at that point and I contacted someone on my own. I'm really happy I did, because I went and got her a transplant evaluation within a week they were able to see me, it was in another state. At the time, having evaluated her, he felt that she wasn't ready for a full blown transplant evaluation. This is another cardiologist. And we were happy about that. We're like, "Okay, great," but he was willing to go even higher on the IV. We actually saw three cardiologists at that time. We were the ones carrying the information between each doctor, they weren't talking to each other. We were doing all the translation of information. We realized she was being hospitalized more and more in the winter and there were some crises, there were some difficult times where I, even as a physician dealing with her at home, did not know what to do. To go to the hospital, I would just ask her how she felt. "Do we need to go to the hospital today?" I trusted her answer and if she said yes, because no kid wants to go to the hospital, I knew she needed to go. We got to a point where we, in the middle of winter, went for a follow-up with the doctor who was considering the transplant evaluation and he told us now is the time. She was that severe and he didn't feel that she was going to get much better. He actually has his own little formula. I know that a lot of the specialists joke that there's no formula, but this one had his own personal formula. We trusted his opinion and she was evaluated a few months after that and things moved pretty quickly because she was getting worse. After that transplant evaluation, within four months she received lungs. When we got that call it was not easy because we had just finished moving into a house the day before. We were unpacking and at midnight we got a transplant call. I saw that number and I recognized the area code and we had to be there in three hours. We picked her up out of her bed and put her in the car and she woke up in that hospital. I will never forget that day but she had her transplant, it took only four hours. They rotate surgeons. It was done by a surgeon that I had heard of and I was hoping it would be that one. The first week was rough. We were told up front the first week after transplant is like a roller coaster and it certainly was. It was the scariest ride I've ever been on, whether there was going to be a dip from hour to hour, it was rough. You can imagine, she had received another child's lungs and her body had to acclimate. There were fluid shifts and she was on the vent. There were some complications early in the first week that were not anticipated that made the course even rougher. She even had a cardiac arrest that first week and so she almost didn't make it, but that was a great team and they recovered very well but it was scary. After that first week she moved in the right direction pretty quickly though. That was 2014, she'll be celebrating four years this summer. Post-PH, I would say for her, much better. I remember what it was like for her towards the end of her PH life, it was another life. She was sleeping in our room with a feeding tube, she was the size of a two-year-old and she was four, which I cannot even imagine but it was true. I didn't see it and I was her parent but she weighed the same amount as most two-year-olds do. She also was wearing oxygen at night and on a lot of medicine and was starting to have trouble walking up six stairs from our living room to our bedroom. That was hard, but she still acted like a normal kid and she still went to camp. Her discomfort eating or her lack of desire to eat was because I think she had symptoms when she was eating, the heart was working like a machine. You could see her heart beat through her chest before she was on medicine so her heart was really in bad shape. The other thing is, she wanted to swim really badly because her brother swam and she always had to sit on the side of the pool with her feet in or actually walk in the baby pool, that was all she could do. That was her wish that year was that she could swim with her brothers. After transplant that was one of the first things we did. Her line came out, and she was at the beach within a month, it's pretty amazing. Post-transplant, she swims every week and she will be on the summer swim team this year. She loves it. She is a brown belt in American freestyle karate. She is a soccer player, she likes to play goalie as well, and she loves to run. Another thing that's special is we have her in Montessori School because we still live with the concern that transplant is not a cure, it is a way to prolong life and to add to the quality of life, and I know that. It is scary to think what the timeline is and to hear some of the statistics about transplant. I will say it's been worth every day that she's had a better day than she did with PH, because she was so sick. I love watching her do all those things that I've mentioned and more. I just want to help her to extend her days and her years. Montessori's just a part of that, she in class with 12 kids, grades one through three, only 12 kids. She has a very special teacher and all her classmates know what she's been through, at least superficially, and know that they need to take care not to bring their sicknesses to school. I couldn't see home schooling her just because she loves being outside of the home and so that's why we have her in that type of school. My name is Michelle Liu and I'm aware that my daughter, Esther Grace, is rare.